Wizard shows Search Type, Partition Type, Start Sector, End Sector details. 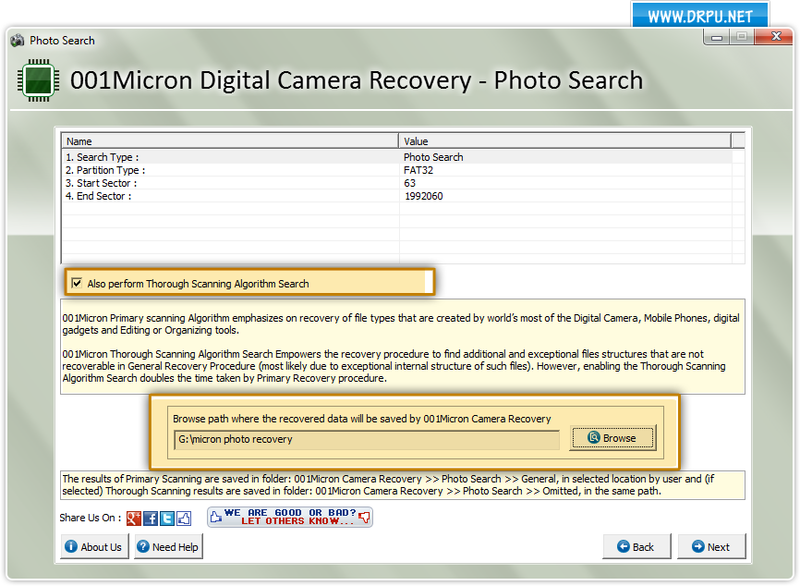 Select “Also Perform DDR Thorough Scanning Algorithm Search”, now select location where you want to save data after recovery by clicking on “Browse” button. 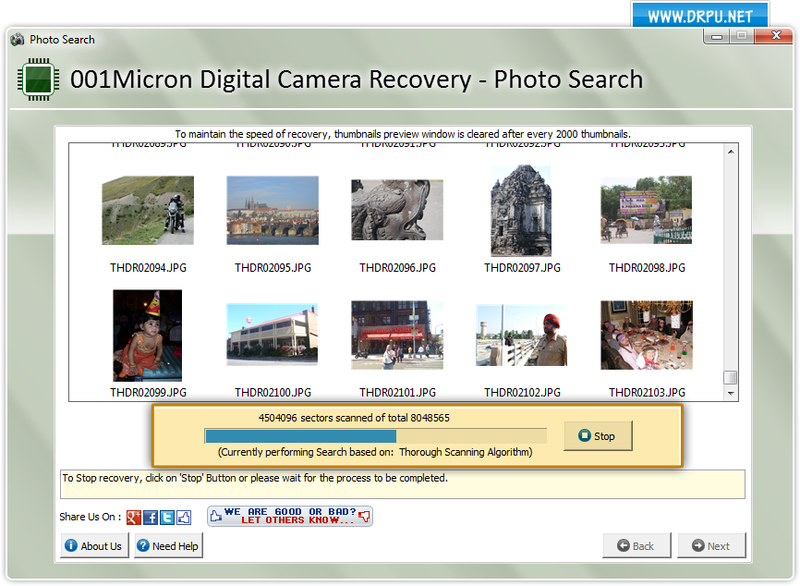 Currently running disk scanning process using Thorough Recovery Procedure to search lost files.